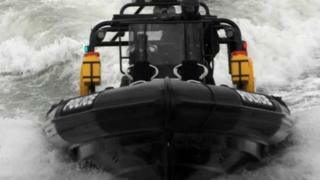 Hampshire police's specialist marine unit is to be maintained following a review of the service. The county's police federation had warned that any cuts as part of moves to save £8m would be "devastating". A review by the force has recommended keeping the service's staffing levels, but selling two of its larger boats. Hampshire Constabulary said it meant the unit could provide "a more flexible and focused service". The marine unit carries out anti-drugs and human trafficking operations as well as helping with search and rescue efforts along the Hampshire coast and rivers. Disbanding it was mooted as part of budget cuts in 2018. Then-chairman of the police federation John Apter said at the time that such specialist departments "are not 'nice to have' teams, these are essential teams". The Police and Crime Commissioner (PCC) Michael Lane ordered Hampshire Constabulary to carry out a review into its effectiveness and value for money. Under the plan, two large vessels will be sold and replaced by a new craft with improved inland capabilities which the force said was better able to carry out searches of rivers, lakes and mud for missing people. Assistant Chief Constable Scott Chilton said it was "good news operationally". "The marine unit will continue to support neighbourhood policing on the water and carry out intelligence-led patrols to tackle serious and organised crime. He said the force would work with Hampshire Fire and Rescue Service, Ministry of Defence Police and other emergency services. Police and Crime Commissioner Michael lane said the funding solution would "sustain a marine capability that also provides improved policing capabilities inland".